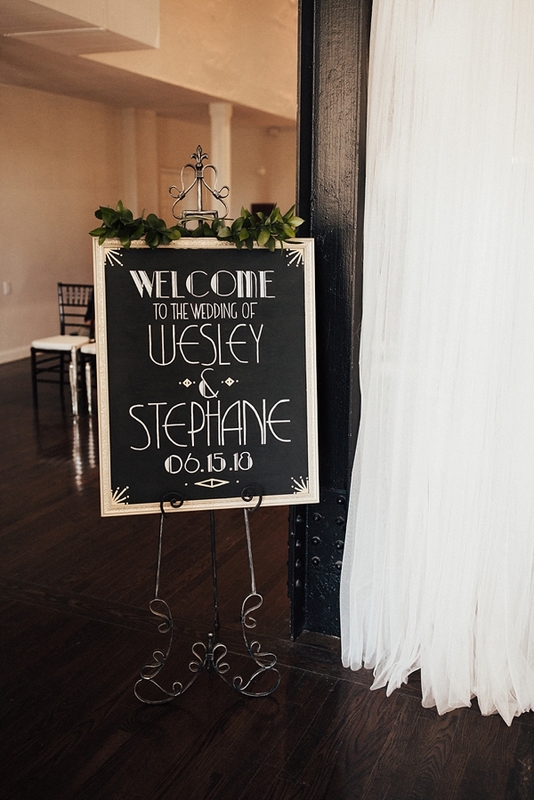 With only two goals in mind, Stephanie and Wesley made sure that their wedding day had to be fun and it had to be them. 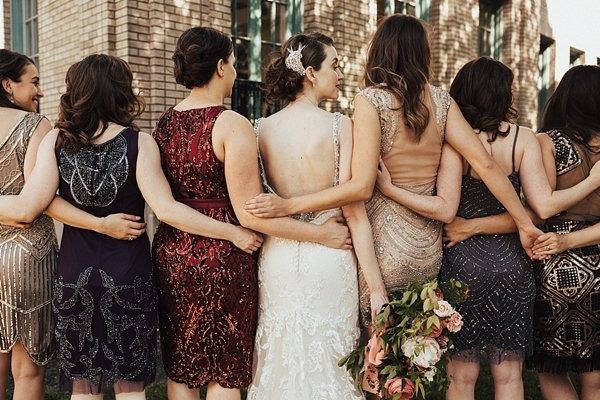 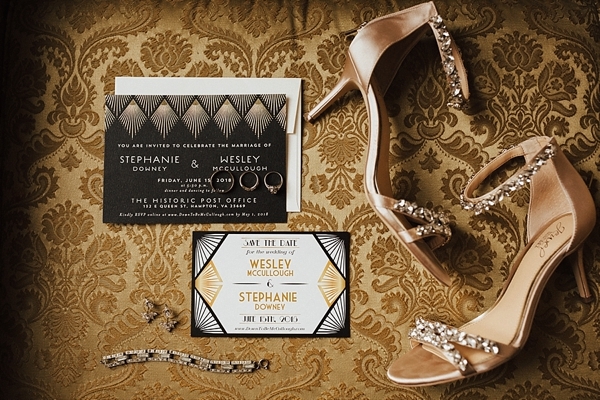 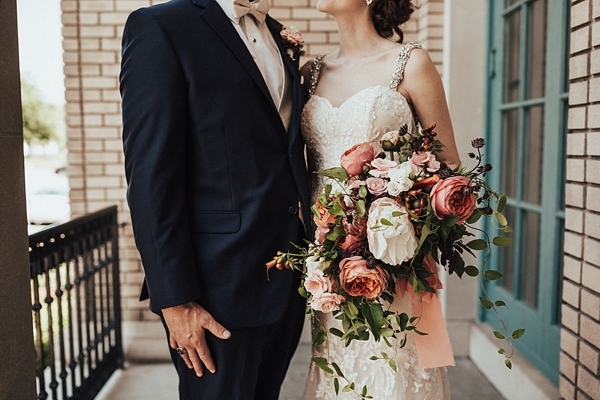 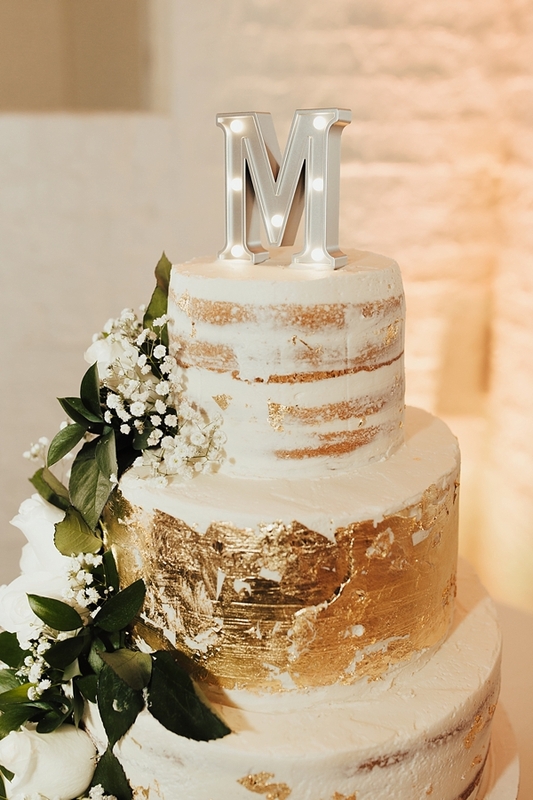 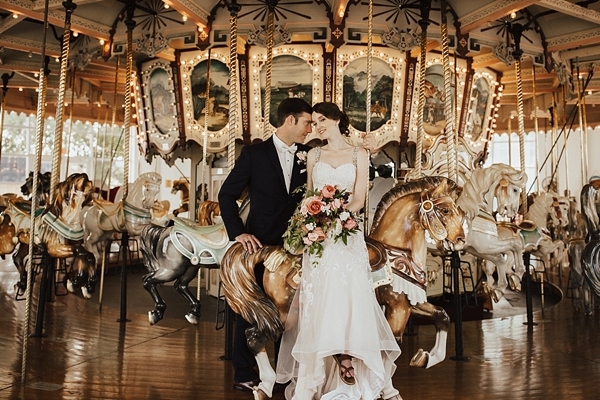 Since they're not very traditional people, these two lovebirds envisioned a 1920s Art Deco-inspired celebration filled with vintage style and modern aesthetic. 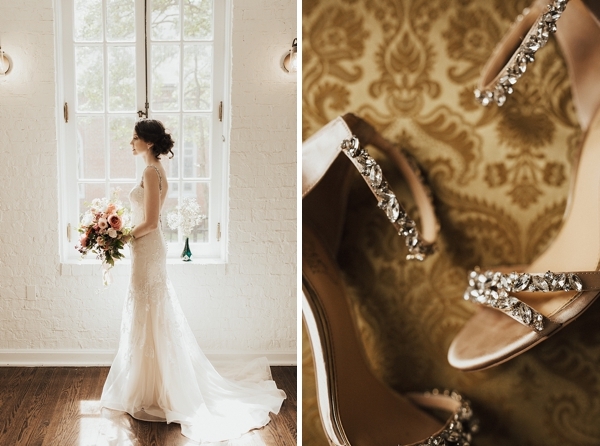 And gold and black never looked better than at the Historic Post Office in Hampton! 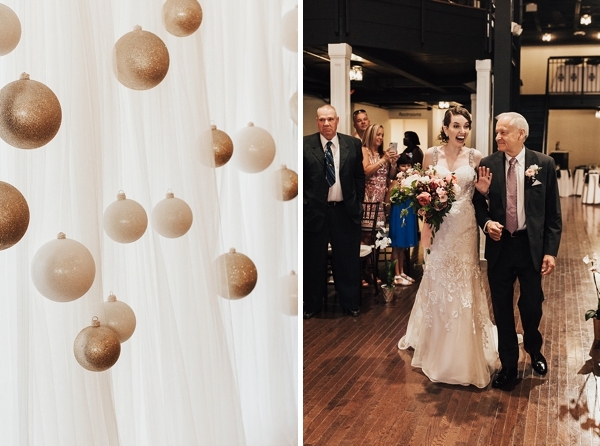 Captured by Peyton Curry Photography, everything sparkled with custom signage and a gorgeous headpiece made by the bride herself, a popcorn-filled cocktail hour at the Hampton Carousel, sequined bridesmaid dresses for days, and a totally rad glam lounge and bar setup. 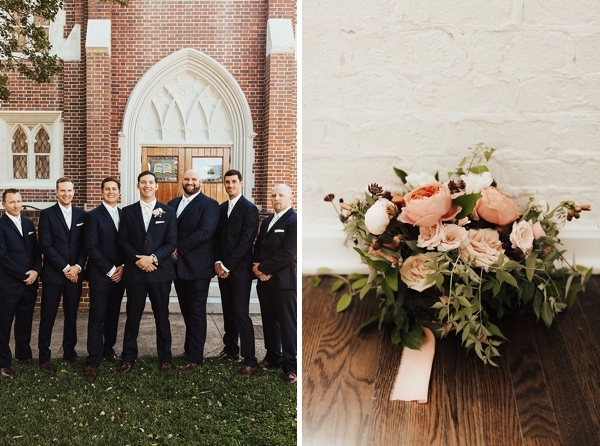 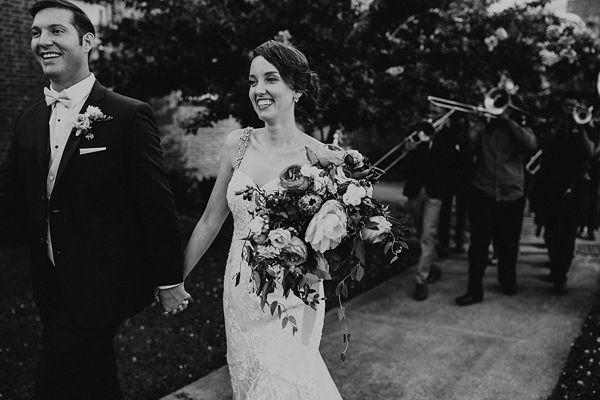 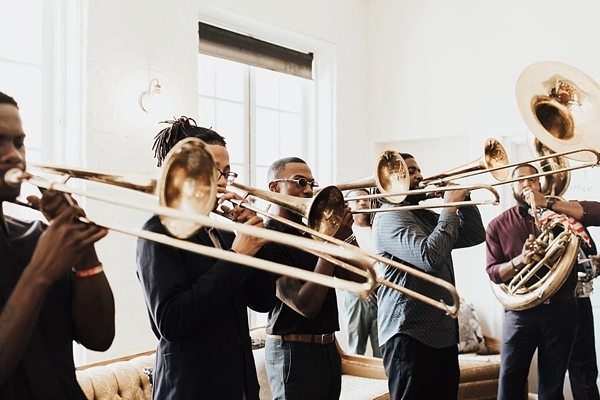 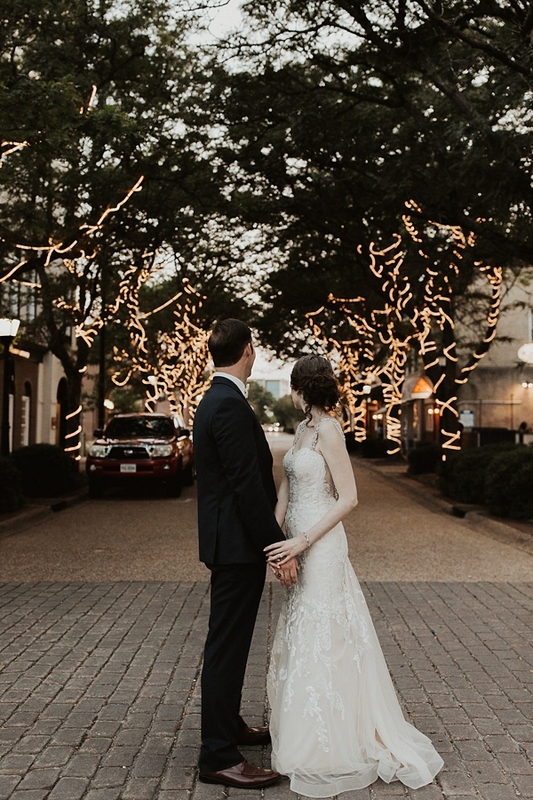 Not only visually stunning, a big brass band kept things lively all throughout the day while Stephanie and Wesley's personal readings during their vows gave significance to their special day. 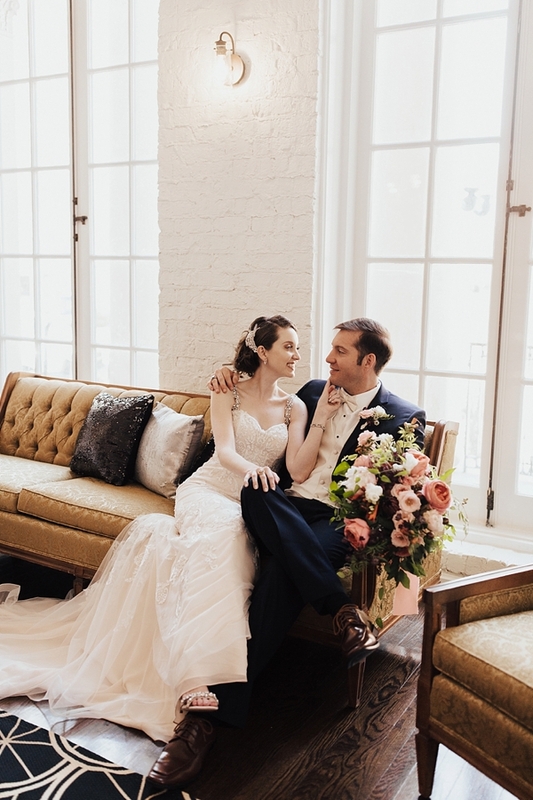 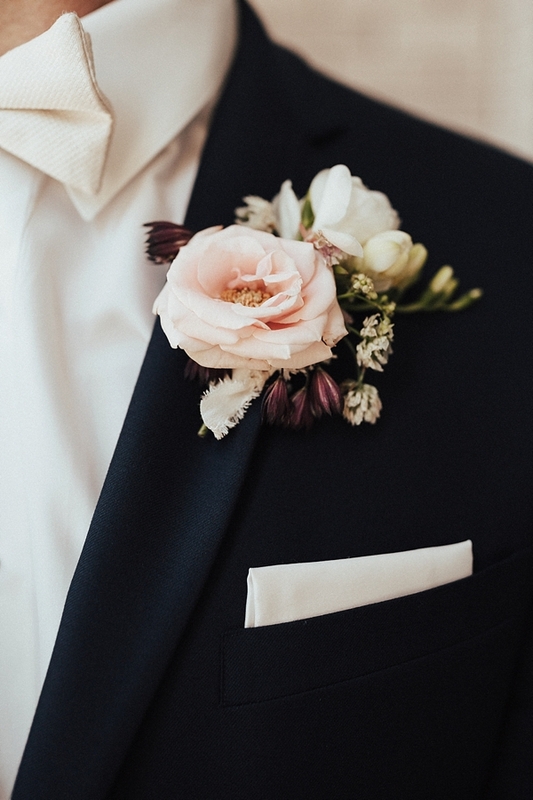 From the bride's wildly romantic bouquet to the groom's sharp attire, we also really loved how the couple incorporated a lot of their own collected treasures from their home in their wedding decor. 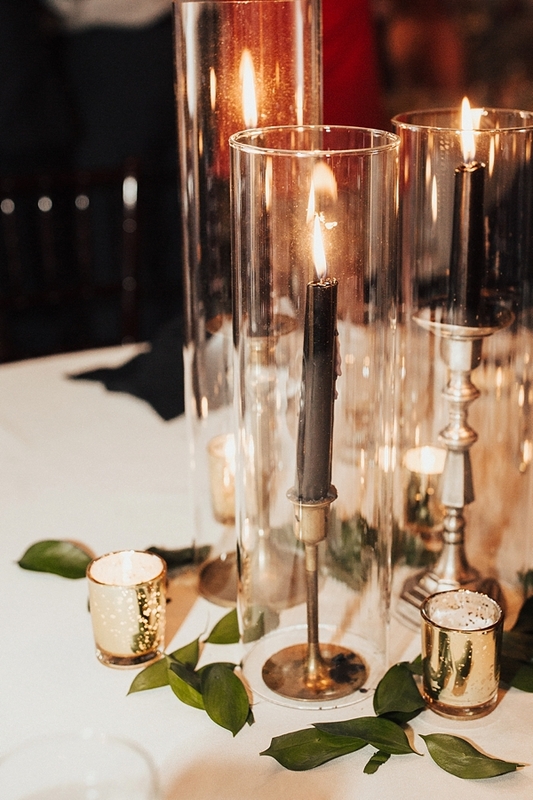 With the help of A Queen's Touch Events, candlesticks, family photos, whiskey barrels, and more personalized their reception and gave all of Stephanie and Wesley's guests an experience that truly was a step back in time.